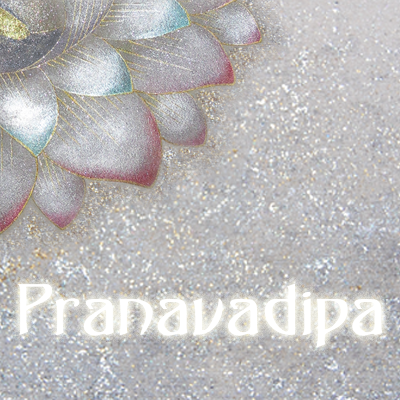 Pranavadipa Issue #7 is published today! Have you ever wondered what state of mind is necessary to practice Yoga and under what conditions such a state of mind arises? These questions are at the heart of this month’s Satsangha, in Issue #7 of Pranavadipa, in which only our brother, Sanatana (Mr. Hotta at that time), is asking questions to Shri Mahayogi. Sanatana begins by seeking guidance from Shri Mahayogi about an idea for a book that he would like to write, the purpose of which would be to stabilize the reader’s mind and in so doing, prepare it to understand the teachings of the Truth. In reading and trying to understand the conversation between our Master and Sanatana, it is amazing for me to see how Sanatana is truly using his lived experience of practicing Shri Mahayogi’s teachings to understand how to write this book. In seeking Shri Mahayogi’s guidance for the book, it is evident that he is also seeking guidance in deepening the thoroughness of his own practice, exemplifying the necessity for us to deepen our understanding and experience of Truth in order to serve others. Shri Mahayogi’s responses reflect the depth and thoroughness of Sanatana’s own willingness and readiness to receive and practice the teachings and both provide us with an example of how we too can deepen our practice. 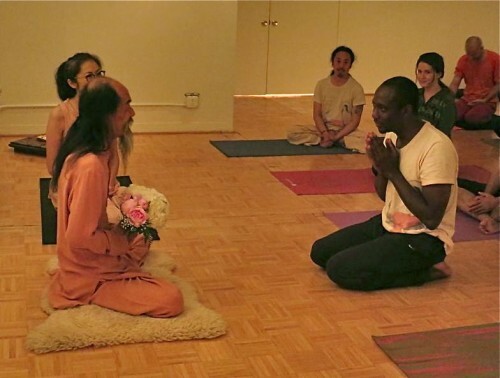 Mr. Shimada, who contributes the series of articles titled “What is Yoga?”, was just in New York for nine days during Shri Mahayogi’s last visit. We were fortunate to have the pleasure of meeting him and at the end of a Wednesday class there was an opportunity for the NY Sangha to ask him questions about his experience and for him to ask us questions as well. I asked him about his process of writing the articles for “What is Yoga?”. I was curious to know how he went about writing them. For example, did he know the topics beforehand and then spend a month meditating and practicing to understand each topic before writing, or what? He answered that “no, that was not how it was at all.” To begin he shared that he was asked by a senior disciple to write a series of articles for the newsletter in Japan, Paramahaṃsa. He thinks that most likely he was asked to do so because he would be able to learn so much from doing it and because he needed to deepen his practice! The way he went about it was to look at himself and his way of being before being introduced to the practice of Yoga in comparison to now, after he has been practicing for 4 or 5 years. 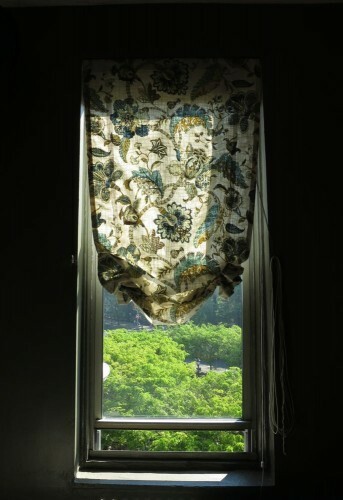 When doing so he began to write whatever came to mind and out of that the topics naturally arose on their own. I found this so fascinating because it seems to me that it is out of Mr. Shimada’s comparison that it becomes evident how, by following the teaching of our Master, he has experienced many different aspects of what Yoga is. And what’s more, through his experience we can see that it is unmistakable that one can truly begin to transform oneself through the practice of Yoga! In this month’s article, Mr. Shimada again shares with us the sincerity of his experience of daily practice and in so doing reminds us of the importance of not giving up at the mere thought of practice being beyond our capability, and strengthens our faith that we too can experience the truth of Shri Mahayogi’s teachings if we practice them and gradually bring our thoughts, words and deeds to unite as one. May the experiences of our brothers inspire us and bring passion and faith to our day-to-day practice so that we can all exemplify the Truth or our Beloved Master’s teachings! After having been blessed by the presence of our Master, Satguru Shri Mahayogi Paramahansa, for the past three months, disciples and attendees came together this Sunday one last time to receive his teachings and guidance before his return to Kyoto, Japan. At the end of the Asana and Meditation class, Aniruddha spoke on behalf of the disciples in NY to express the immense gratitude we have for our beloved Master. with your teachings, guidance and wisdom. It is a great honor and privilege for us to serve both you and the mission. that your teachings are indeed the Truth. is the Living example of True existence itself embodied in physical form. that we have come to know the true Self. that we began to feel its essence. that we will experience the full essence of Atman. thank you Satguru Shri Mahayogi Paramahansa. so that we can be in your presence once more. May our hearts and minds rest solely in You. Jai Satguru Shri Mahayogi Paramahansa Ki, Jai!!!!! 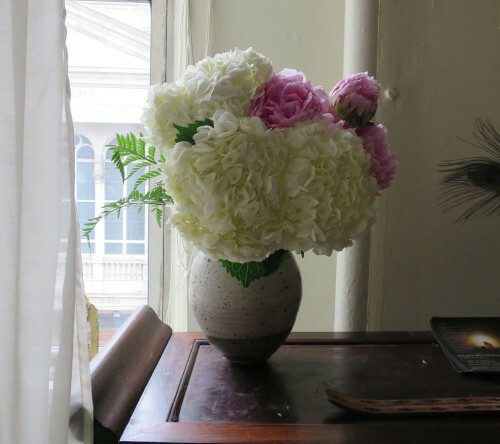 was then arranged by the Master in the vase that night.